aGupieWare: Bullets, Bomb Blasts, and Barbeque: Top Tech For Independence Day! 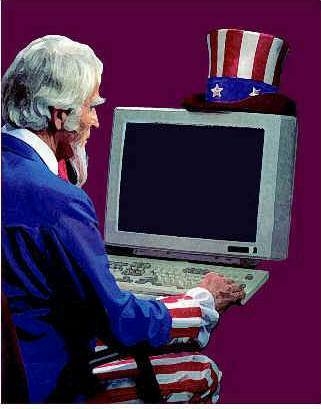 Bullets, Bomb Blasts, and Barbeque: Top Tech For Independence Day! Alright, look. It's the 4th of July weekend in America right now, and we are gonna celebrate some freedom in the manner that befits us best...mayhem. America the Beautiful...bless it with fire! Have you ever wondered if the iPhone that you love so dearly would return the favor and save your life? Is it even possible? 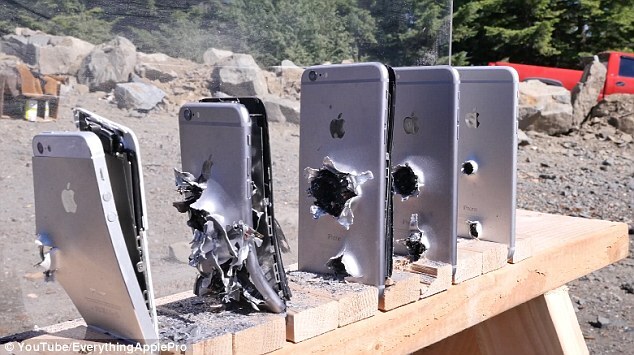 Apparently, according to The Daily Mail, the answer is that you would need FIVE precious phonepieces to stop a bullet fired from an AK-74. Bullets fired from the high-powered weapon can travel at up to 2,900 feet per second, inflicting ridiculous damage on their intended target. So if you happen to want to play hero in a situation involving these wicked weapons, well, there's no app for that. Check out the video for maximum madness. That's not enough for celebrating, though. Let's have some fake-but-still-fiery explosions as an artistic and technological testament to the history of rockets' red glaring. Yes, we know there's so many to choose from, so how about an extensive profile of some of film's finest? Thanks to Consequence Of Sound, just such a national treasure exists. Explosions in everything from the obvious ("Independence Day") to the awesomely abundant ("Mad Max: Fury Road") are chronicled for your fireworks-pregaming fun. If you like detonations that end a little more depraved, here's Happy's Places crazy compilation of real-life fireworks gone wrong. Have a blast! playing "Stars And Stripes Forever." And after all this American awesomeness, you've probably worked up a hearty appetite. How about some technology to benefit your barbeque? Popular Mechanics has reported on five new BBQ breakthroughs that will help your steaks sear, burgers burn, and dogs darken most deliciously. From a Roomba-esque grill cleaning device to a glass-ceramic material specifically engineered to distribute heat for maximum meat-roasting magnificence, you can now fire things up like the perfect pitmaster. 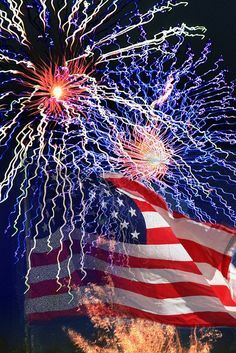 Happy Independence Day to all Americans, aliens, wannabe Americans, expatriates who still harbor feelings for the motherland, and anyone else who just feel like celebrating freedom on a Saturday. Enjoy your day tomorrow, from screen to shining screen! It's worth a try to go outside and celebrate tomorrow.